Pre-employment background checks have become a standard step in the hiring process for employers. 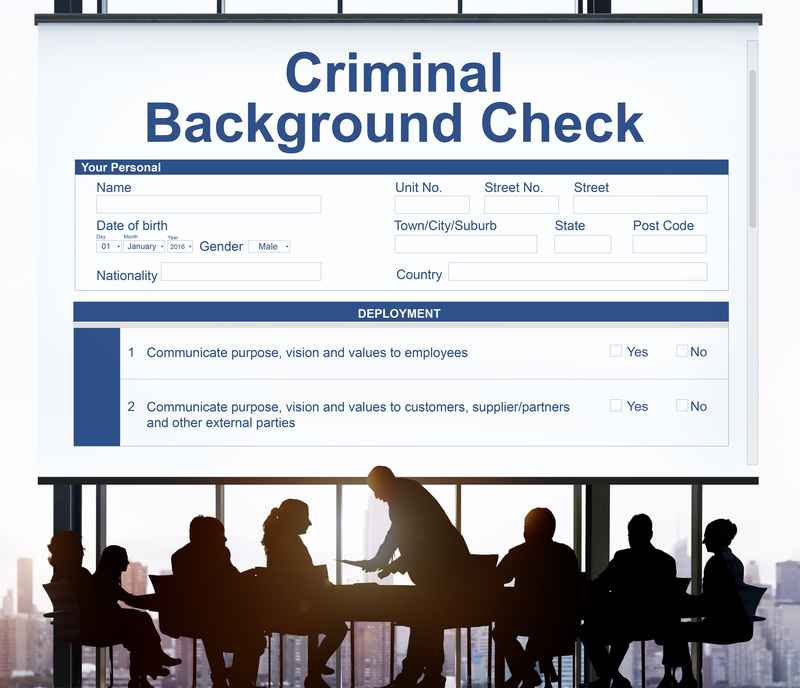 Background checks allow an employer to have a transparent view of an employee’s past and provide many advantages for employers. For instance, background checks prove to be the voice of truth when applicants lie on their job applications when asked about their criminal history. A National Criminal Check is usually where the background check process begins. Essentially this check does a broad search through many different jurisdictional data bases. Some of these sources include county courthouses, state court support agencies, local correction departments, and other government agencies. The purpose of this wide-ranging search is to get an understanding of one’s criminal history. The National Criminal Check will show facts that can then be further investigated through searches such as a County Check. Employers must get permission from the applicant under Fair Credit Reporting Act (FCRA) and provide their valid First and Last name along with their Date of Birth. National Criminal Checks are beneficial to employers because of their extremely quick turnaround time. These check results can be received immediately if there are no duplicate names to sort through or if there are no records revealed. For extremely common names, it can take more time to verify and establish that the correct individual has been identified. Additionally, these checks cover a wide geographic area and search an individual’s criminal history on a broad spectrum. For example, if you solely focus on where an individual has previously lived by performing a Social Security Trace, then crimes that could have been committed on vacation would not be detected. Additionally, if an individual resides near state lines and travels frequently, you would need this search to detect criminal activity that took place outside of their valid address. By conducting the National Criminal Search, you are doing a nationwide search that would pick up crimes committed within and outside of someone’s resident locations. Lastly, these searches are cost effective and are used to surface facts that help direct additional and more in depth searches. It is important to understand that a database is only as valuable and accurate as the info inputted into it. For example, there is often a lag time before current information is submitted to the originating agency. Many states do not update their systems daily, and instead update their data bases monthly or quarterly. Information may also be incomplete or lack sufficient detail. This happens when information becomes stagnate in a database and is not updated as changes occur throughout the cases progress. Although some databases suffer from being outdated, many providers consider it a top priority to update their records with valid information. The FCRA requires that any information reported must be complete and up to date at the time the information is disclosed to an employer. Which means, if an individual committed a crime, the National Criminal data search alone may not reveal what the outcome of the case was in its entirety. To act upon incomplete or inaccurate information would be unfair to the potential employee and could cause liability if he/she doesn’t get a job based off false information. When a red flag arises within the National Criminal Check, you must investigate further by conducting a County Check. A County Check includes thorough details on the cases progress and outcome. With a County Check, the records are physically pulled from the specific courthouse which provides the details a National Criminal Search may lack. The County Check is essentially able to either confirm or deny the findings and present facts you can depend on. That way, before you make an employment-related decision, you know you are working off complete and up to date data. With a County Check, depending on the state and court house, results could take a few days to weeks. However, to have the most accurate and in depth understanding of your potential employee, the County Check is your best option. Although Background Checks seem straight forward, there is a lot that goes into finding the information you can trust. Origin is an expert in the industry who depends on their dense databases, elite software, and experienced personnel to give you the results you are looking for. If you are doing your own background checks it is important to understand the severity of not being compliant with FCRA and knowing the differences between National Criminal Checks, Social Security traces, County Checks, and several other searches. Origin is not only capable of conducting the employee background screening you need, but can grade each background check to your desired criteria. Hire correct the first time by hiring Origin now.